Log into Salesforce with wwGate, a cloud-based SAML single sign-on solution that protects your accounts by replacing username and password based authentication. Log into your G Suite account with wwGate, a cloud-based SAML single sign-on solution that replaces username and password based logins with secure WWPass authentication. View Demo. ZenDesk users can benefit from using wwGate — a cloud-based SAML single sign-on solution. Transfer files securely in Dropbox by using wwGate, a cloud-based SAML single sign-on solution that adds strong authentication to Dropbox for Teams. With wwGate, you can add WWPass authentication and an administrative web interface to your Amazon Web Services. Merge WWPass security for VPN with Fortinet's firewall platforms. Log into Fortigate's VPN without usernames and passwords. OpenVPN is an open-source software application that implements virtual private network techniques for creating secure connections. WWPass security for VPN allows you to log into Open VPN without usernames and passwords. OpenSSH is an open-source toolset implementing SSH (Secure Shell) protocol for encrypted remote access. To integrate WWPass authentication with remote access through a Windows terminal, check out our SSH guide. Juniper SSL VPN appliances provide cost-effective remote access for your organization. WWPass Security for VPN allows you to log into Juniper SSL VPN without usernames and passwords. 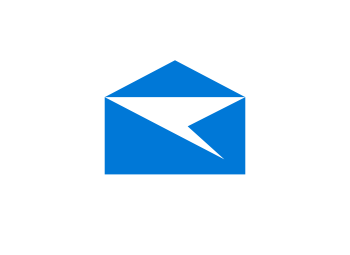 In addition to Microsoft Outlook, we offer full encryption and email signing for Windows Mail free with our security pack. Log into Microsoft Windows clients securely and without usernames and passwords. Microsoft BitLocker is a full disk encryption feature included with Microsoft Windows. WWPass provides secure authentication to BitLocker without usernames and passwords. VMware's Horizon 7 is a virtualization server for remote desktop and more. Based on FreeRADIUS technology, WWPass' EAS (External Authentication Service) solution provides strong authentication for VMware Virtual Desktop Infrastructure. IBM Security Access Manager (ISAM) is a reverse web proxy providing single sign-on and protected access to corporate resources. Learn how WWPass can add strong authentication and ease of use with our ISAM data sheet. You can also view how it works or try our live demo! For integration information, check out our installation guide in HTML orPDF. CAS is a single sign-on solution for the Java word. This open-source software was written at Yale and is widely used in universities. Check out our documentation for WWPass strong authentication for the CAS server. FreeRADIUS is an open-source implementation of the RADIUS protocol. It is the most widely used RADIUS server in the world. Read more about our authentication solutions for FreeRADIUS. WordPress is one of the most popular content management systems, with about one out of four websites using it worldwide. With the WWPass plugin, you can add strong authentication for your WordPress accounts. Check out our demo here. Redmine is an open source project management and bug tracking tool. WWPass has developed a module for Redmine that enables PassKey or Passkey App authentication. The module is available in Redmine plugin directory. The source code can also be found in the Github WWPass repository. Jenkins CI is an open source continuous integration server and our plugin allows WWPass authentication. Source code and installation instructions can be found in Jenkins plugin repository. We've developed an SDK for PHP that allows developers to build secure applications using WWPass authentication and data storage technologies. See Downloads page on developers.wwpass.com to get the SDK and start using WWPass. We've developed an SDK for Python that allows developers to build secure applications using WWPass authentication and data storage technologies. See Downloads page on developers.wwpass.com to get the SDK and start using WWPass. We've developed an SDK for Microsoft.NET that allows developers to build secure applications using WWPass authentication and data storage technologies. See Downloads page on developers.wwpass.com to get the SDK and start using WWPass. We've developed SDKs for Java and Spring Framework that allows developers to build secure applications using WWPass authentication and data storage technologies. See Downloads page on developers.wwpass.com to get the SDK and start using WWPass. PSS is a component of WWPass Security Pack. PSS brings every user their own secure space to store valuable files. User files are encrypted with a PassKey before they are sent to WWPass’ dispersed storage. The files stored may only be decrypted with the same user's PassKey. Files are accessible from any computer where Security Pack is installed, provided the user’s PassKey is connected. Get started here. wwSafe is a collaboration tool which provides secure storage plus the exchange of sensitive information. wwSafe provides secure document sharing between remote parties; between doctors and patients or lawyers and clients, for example. WWPass implements End-to-End data encryption with hardware cryptographic tokens. This architecture provides an extremely high level of security. WWPass Journal is a lightweight web application that allows users to make secure notes and store them in the WWPass distributed data storage. Get started. BMC Remedy is a digital service management platform. Our plugin for BMC Remedy allows users to log into the system with PassKey authentication. 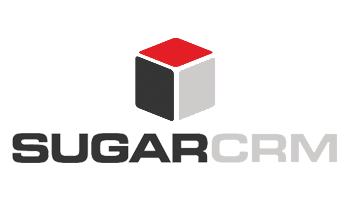 SugarCRM is an open-source customer relationship management platform with over two million users. WWPass has developed a module that brings our secure authentication to your SugarCRM accounts.